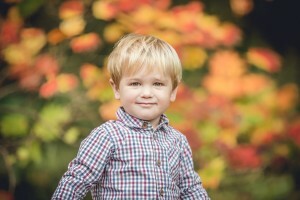 Family Photography, Great family days out in Gloucestershire countryside. As many of you may be aware our family loves the countryside. For us there is nothing better than spending the day investigating our great British countryside; the many different species of wildlife along with the beautiful backdrops the different seasons provide. 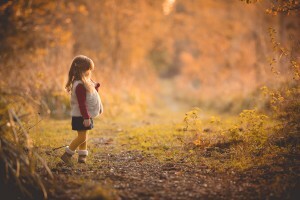 Working as a child and family photographer I am often out exploring new locations and possible settings for photoshoots. Here a list of a few of my favourite countryside family days out. Puzzlewood is a unique and magical forest with a mile of meandering pathways and over 200 steps set in 14 acres of ancient woodland. The paths take you through a wonderland of deep ravines or moss covered rocks, over wooden bridges and through fantastic tree and rock formations. Its a popular TV & film location for productions including Merlin, Doctor Who, Star Wars: The Force Awakens, The Huntsman and more. A remarkable place for people to enjoy and learn about trees – 15,000 specimens from all over the globe offer the perfect place to relax, learn or have an adventure! 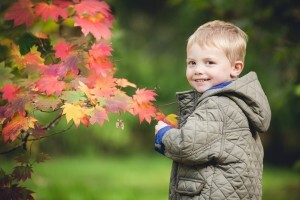 Batsford Arboretum is a treat for kids eager to explore the great outdoors! You can follow winding streams and watch the pond-life or set out to find some of the hidden creatures like Foo Dog, the Japanese Deer and the Big Buddha! Only the bravest would try to dodge our waterfall too: don’t forget your waterproofs! Batsford Arboretum is a wild garden with a unique collection of trees and plants, and it’s heaving with wildlife! Check out the nesting boxes including those for owls, search for bugs and identify trees from their beautiful leaves. The much beloved Painswick Rococo Garden was designed back in the 1740s as a rather flamboyant pleasure garden for entertaining guests at decadent garden parties. But these days it’s much more valued as a fun day out with kids exploring the permanent and seasonal delights the grounds have to offer! Dig out those crowns and channel royalty at Sudeley Castle. Home to historic figures and incredible natural beauty, it’s a fabulous spot for a full day of family activities. Begin at The Queen’s Garden. It’s one of ten award-winning gardens and was named for England’s queens who visited the original site, including Anne Boleyn and Elizabeth I. From there get lost in a large willow maze or visit rare and endangered birds at The Pheasantry. The huge wooden fort is exactly as cool as it sounds! Let kids burn off all their excess energy on a ten-piece assault course or flying down a zip wire in the adventure play park. Berkeley Castle is England’s oldest inhabited castle and most historic home. Over 24 generations of Berkeley’s have transformed a savage Norman fortress into a truly stately home full of treasures. You can see the cannons facing out over the meadow, the massive stone keep with the Civil War breach made by Cromwell’s troops, the trip steps up to the keep to trip attackers, the cell where King Edward II was murdered, the deep dungeon where people were thrown in to die, Queen Elizabeth I’s bedspread, the Great Hall where the last Jester in England died (was he pushed? Did he fall?) and so much more! Once the hunting lodge of King Henry VIII, Prinknash Bird and Deer Park’s Old Abbey is set in a charming wooded valley the other side of a monastic estate from the more impressive New Abbey. The park has been landscaped with modern techniques to recreate an 18th century park including traditional style follies, which include a vintage gypsy caravan and a traditional Wendy House structure with wooden toys in. Set amid the historic Pittville Estate and includes Pittville Pump Room. Car parking is available behind the pump room, on Ablemarle Gate Road and on Evesham Road. The park is split in half by the Evesham Road, access via underpass. The pump room side has an extensive fenced play area, and a Peacock Palace (which as well as the aforementioned includes guinea pigs, lop eared rabbits, chipmunks and fancy birds). The toilets are close to this play area. 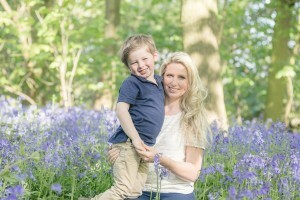 If you would like to update your family photos and enjoy a fun family photoshoot in a beautiful countryside location why not get in contact at info@hannahbucklandphotography.co.uk alternatively check out my facebook page or Instagram page for seasonal photoshoot and child mini session information.